It doesn't seem like too long ago that the world was enraptured by the great carnival of football that is the World Cup. As such the new season has somewhat snuck up on us and believe it or not there are just 9 days until everything kicks off again. Last year Carlo Ancelotti made history by becoming the first manager ever to win the league and FA Cup double in his first season, silencing his many critics in the process. Meanwhile Arsenal surprised many by challenging with the big boys and showing that you don't need a sugar daddy to compete; though if Manchester City have anything to say about it, it will certainly help. It promises to be an exciting year at the other end of the table too, with new boys Blackpool are still hungover from celebrating their first ever year in the Premier League. Meanwhile, old stalwarts Newcastle are back at the top level after just one year in the wilderness. At the time of writing, there have been astonishingly few major signings to speak of, and with time running out the pressure is very much on. In this guide we preview each and every team, run the rule over their key signings and players to watch and then fill you in on our carefully considered predictions for the season ahead. Arsenal are always an interesting team to watch; you're never quite sure with them if you're going to get champagne or bucks fizz. For a number of years now they have not really been competing with the top teams for the title, but last year suddenly they found themselves in with a shout right up until the death. Undoubtedly, much of this has to do with the quite surprisingly poor performance of both Chelsea and Manchester United as well as heavy injuries both sides incurred, but a great deal of credit must go to Arsene Wenger. Wenger continues to impress on a shoestring budget as Arsenal continue to pay off stadium debts, and only a few world class talents to work with. Have signed the centre forward they so desperately needed, but Arsenal's defence remains a very real concern with the likes of Gallas leaving and only the untested Koscielny brought in as replacement. Considering their defence wasn't much to be proud of before, this is a big concern. The lack of of a quality goalkeeper also led to problems last season, and as of yet nothing has been done to remedy this. If they were a Hollywood movie: Red Dawn; a group of ragtag youngsters take the fight to the all powerful Russian(s). Verdict: Will be relying on poor form and/or injuries from their more illustrious rivals, but if last season is anything to go by and their opposition players' age begins to catch up with them then anything could happen. Their best chance to win the title in years. One has to give a lot of credit to Aston Villa, who continue to play good football and cause headaches for the big boys (albeit inconsistently). Martin O'Neill has turned them into a really top side, built around one of the league's strongest defences and most experienced goalkeepers. They are additionally blessed with pacey, young attacking talent that can trouble even the biggest names on a good day, as Man United found out last year. But just as Villa were once considered to be gaining on the big four, the rest of the top eight now seem to be gaining on them. Spurs and City overtook them last year, Liverpool will be keen to bounce back from last year, and Everton are quietly growing in strength under David Moyes. Have yet to strengthen the side, and with rumours suggesting that star player James Milner is set to leave to Man City there is the feeling that this could be a much tougher season for the plucky side. If they were a Hollywood movie: You've Got Mail; likable independent gets screwed over by "the man", ends up in bed with the enemy. Verdict: Could be a step backwards after a number of good years for the club. Definitely the surprise package of last season, McLeish's Birmingham achieved a very impressive run of games that took them into the top half of the league in their first season back in the Premier League, just one place behind the so called big eight. Much of this can be attributed to a formidable defence featuring Roger Johnson, Stephen Carr and Joe Hart in goal. But now Hart has gone back to Man City, and ex Man United goalkeeper Ben Foster has been brought in on a permanent deal to replace him. Foster was once a hotly tipped property before he collapsed at United, and his resurgence in form will be vital for any hopes Birmingham have of repeating their top half success this season. Elsewhere, Crouch-esque Valencia striker Nikola Zigic has been signed and pundits will be anxious to see if he lives up to billing. If Birmingham have finally found themselves a consistent striker then this will be a marvellous deal for the club. If they were a Hollywood movie: Braveheart; the Scotsman leads his hardened warriors with vim and vigour, but it may not be enough. Verdict: Unlikely to repeat last season's heroics, but should be safely in mid table. Allardyce rarely disappoints, and his tenure at Blackburn is proving to be no exception. Last season we got the first look at the tough, miserly, and distinctly "Allardyce" team that is being crafted and Blackburn, and Ewood park became one of the most feared grounds in the country to play at towards the end. Might even have done better had David Dunn managed to remain fit for any reasonable period of time. Rumoured to be looking for another striker, with Dindane, Beattie and Jo the likely targets. As yet no signings though. If they were a Hollywood movie: Fight Club; always cruisin' for a bruisin'. Verdict: A top half finish by no means certain, but unlikely to move much from where they finished last season. At long last, Ian Holloway has made it into the Premier League. Consistently one of the most quotable managers in the game, he is sure to liven things up for all of us. Unfortunately his stay in this division may be short lived. Blackpool finished in the lowest possible position from which one can qualify, 6th, and then won promotion through unlikely circumstances in the playoffs. In addition to a tough away game filled start to the season as a result of ground work, there is reported disharmony amongst the team. Player antipathy towards the chairman, and a poor financial situation that has seen players stripped of their bonuses leaves the team in some dire straits during a time in which they really have to pull together in order to have any chance of survival. If they were a Hollywood movie: 300; so much heart, but you know they're going to die before the movie even begins. Verdict: Likely to go back down. Looked to be heading down last season until appointing Burnley's miracle working manager Owen Coyle at the helm, and it's no coincidence that Burnley promptly became the third team to get relegated. This first full season at the Reebok will be all about getting the team to play his style of football and preparing a base on which to build for the future, but make no mistake, in Coyle they have the right man for the job. Some decent signings so far, including Robbie Blake, Ivan Klasnic, and most notable Martin Petrov. Must avoid relegation this season, far from certain but should pull it off. If they were a Hollywood movie: Dirty Dozen; he's the right man for the job, but can he assemble a team to get the job done? Verdict: Priority will be to stay up, but Coyle should manage. Ancelotti came to the club with a lot of pressure, and a good deal of doubt amongst the fans. Indeed, following the incredible success he saw in his first season (winning the club's first ever league and FA Cup double) it is easy to forget that this was very much a touch and go season characterised by inconsistency. Chelsea may have set goal scoring records and won almost every player award available, but it was hardly them at their best. In addition the team is now getting older, with key players Drogba, Lampard and Terry moving into their 30s. Ideally the club would be able to rely on younger players like Cech, Essien and Alex, if not for the bizarrely injury prone nature of their squad which saw them play a larger number of different players than any other team last season. A few fairly prominent players have even left the club, with Ballack, Deco both leaving and Carvalho potentially to follow. As of yet the club has not strengthened the team much at all, with just Benayoun in at the time of writing, and Ramires due to be confirmed any day now. With the weakness of this squad, plus the lack of signings, it is obvious that Chelsea will be relying more and more on their youth players who made a fair few appearances last season and will now be looking to break into the first team. If they were a Hollywood movie: Titanic; expensive, hyped, depressing. 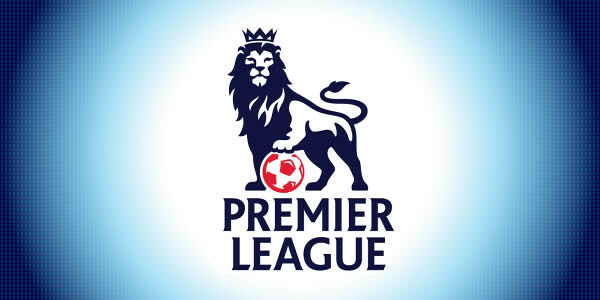 Verdict: Though most pundits are lazily tipping them for the title, I can't really see it happening unless there are a number of signings between now and September 1st, or if players like Essien, Cech, Ashley Cole and Drogba can stay uncharacteristically injury free. A chance for youth to shine, but unlikely to be ready just yet. David Moyes has always impressed at Everton, consistently placing among the fringes of the top tier of the league despite a dearth of quality and resources. However in recent years with all the influx of money into Aston Villa, Man City and Spurs they are finding it increasingly difficult to maintain pace, and this looks unlikely to change this year. So far have only signed a few young prospects, nothing really to strengthen the squad majorly aside from some extra depth up front. The inability to bring Landon Donovan back in is a blow, but this team still has a highly talented midfield featuring the likes of Tim Cahill, Steven Pienaar, Jack Rodwell and Mikel Arteta which can cause any team problems on their day. If they were a Hollywood movie: Mission Impossible; undeniably talented, well organised, but face a near impossible task. Verdict: Again, will probably be around the same place as they end up every year, barring a miracle or a disaster. Roy Hodgson has done an amazing job to turn Fulham around into a comfortable Premiership team, a feat which culminated last season in a Europa League final place that they damn near won. But now he's off to Liverpool, and frankly one might expect the worst at Fulham in his absence. They've found themselves a capable replacement in Mark Hughes, but he will have little time to adapt the team to his style of management in a league like this. Have strengthened reasonable well with Philippe Senderos and Jonathan Greening but could do with more strength up front along with Bobby Zamora. If they were a Hollywood movie: The Fountain; following the loss of central pillar Brad Pitt from the project, a risky replacement must be called in. Let's hope Mark Hughes steps up to the challenge better than Hugh Jackman did. Verdict: Strong enough to stay up, but unlikely to match up to the accomplishments of Hodgson, right away at least. Liverpool are a funny team, and a lot of people took pleasure in their disastrous season last year. But the fact is that Liverpool are better than that. Perhaps they need a fresh take from a new manager (and Hodgson is more than qualified for the challenge), or perhaps they simply need star players who don't get injured as often as Torres. But for whatever reason, they should do better than they did last year. That being said, their squad still lacks depth. While they have made some 'interesting' additions to the squad, it's nothing that will make up for another major injury to Fernando Torres. On the plus side, they can be thankful that both Torres and Gerrard appear to be resisting overtures to move on to pastures greener. Verdict: Should improve, but unlikely to reach their former heights. After coming within a hair of Champions League qualification last season, they begin this year not just with an eye to going one better, but going the whole hog and challenging for the title. Have strengthened their squad on a scale that exceeds even Chelsea back in their big spending heyday, and certainly eclipses any of the big teams this season. Their shaky defence has been bolstered by Boateng and Kolarov, whilst they have added yet more depth to their attacking talent with David Silva, and the box to box midfielder Yaya Touré. Still questions remain over the manager Roberto Mancini, and the defensive partnership of Kolo Touré and Joleon Lescott which right now doesn't even come close to justifying the combined price tage in excess of 40 million pounds spent on those two players. Verdict: If the team can gel quickly, there is no reason they can't challenge for the title, especially considering how weak the other big teams look this year. Last season was one to forget for Manchester United. Wayne Rooney had a fantastic year, but apare from him their squad looked very mediocre, slow and still far too reliant on ageing stars like Giggs and Scholes. This season could be Sir Alex's last, and he has sought to address these problems, bringing in the likes of Javier Hernández, who looks a talent. Rio Ferdinand's recent injury problems are also a concern as they head into the new season. Aside from Rio, however, their squad appears to be more durable and less injury prone than the likes of Chelsea and Arsenal, and over the course of a long season this could be crucial. Expect them to be there or there abouts whatever happens. If they were a Hollywood movie: Rocky Balboa; not as fresh or as good as they once were, but can still hold their own against the best. One last big push for glory before retirement. Verdict: The top few clubs are very hard to separate this season, but the combination of wily management, talented players and luck should see them finish the year as champions. It didn't take long for Newcastle to bounce back to the Premier League. A team clearly too good for the Championship, now they must contend once again with the challenges of the top flight. Chris Hughton has done a remarkable job stabilising a club in freefall, something which all the big names and expensive signings who came before him could not do. Now he must take on the next step, which is turning them back into Premier League mainstays. Won't return to the Newcastle of old overnight, but it's hard to see them going back down. If they were a Hollywood movie: The Comeback Kid; self explanatory really. Verdict: Should have enough about them to stay up fairly comfortably. Had a very good season last year, collecting a number of big scalps. Much of this success was built on a strong defence featuring the likes of Sorensen in goal and Shawcross at the heart of the back line. Lack of funds for investment will make their task all the more difficult this season and the club could well slip down from last season. Still have the throw ins of Rory Delap to rely on. Verdict: Unlikely to live up to the heights of last season. Last year was better from them, Steve Bruce knows how to run a club. I expect them to continue to put in similarly solid performances without really pushing for a top half finish. You know you have problems when your star signing in the summer is Titus Bramble, an ex player for your biggest rivals no less. Darren Bent, it seems, keeps getting better and better and his goal haul every season is really something to admire. He will be central to any success they have this season. If they were a Hollywood movie: Bowfinger; fairly irrelevant, making a stab for glory featuring the kid brother of a world beater (Anton Ferdinand). Verdict: More slow improvement under Bruce. Harry does it again. Another top year for the man from London saw Spurs finally reach their goal of Champions League qualification, claiming some major scalps along the way with some great performances. Repeating the feat this season will be tough with Man City breathing down their necks and Liverpool looking to get back into the big leagues, but they've got as good a squad and as good a manager as anyone. Injury prone key players are a concern, and so far youngster Sandro is the only reinforcement made by the club this season. A deadly group of Gareth Bale, Jermain Defoe, Michael Dawson and Aaron Lennon form the British core of this team. If they were a Hollywood movie: Love Actually; great British cast, pleasing to watch, ultimately lacking in substance or significance. Verdict: Key thing is to stay among the top 4 and keep getting into the Champions League, that may prove too much for them. Promotion at the first attempt is a highly impressive start to Roberto DiMatteo's tenure at West Brom, but will face a far greater challenge to keep them up. To reach this end, the club has strengthened well, adding Nicky Shorey, Boaz Myhill and Steven Reid to the squad, among others. But otherwise the squad looks pretty think in quality for a Premier League team. If they were a Hollywood movie: The Road; sometimes survival is the best one can hope for. Verdict: Will struggle to stay up, likely to be involved in the relegation battle. Survived last season by the skin of their teeth, largely due to the off the pitch disruptions caused by new owners. Naturally the manager got the blame and Zola was promptly sacked. Avram Grant's stock has really come up in recent years following his bizarre stint at Chelsea and he is the man to take the reins for this season. He has his work cut out for him and has wasted no time in signing new players, including Hitzlsperger, Piquionne and Tal Ben-Haim, whilst strangely releasing Guillermo Franco for free after a strong World Cup. Personally I can't wait to see arch rivals Chelsea and West Ham go to head this season, with Avram desperate to attain some victory against his old club who so unceremoniously ditched him. If they were a Hollywood movie: Are Wer There Yet? ; constantly promising a future of great things, but always slipping back into familiar trappings. Verdict: Should stay up, possibly pushing higher into midtable. Just about survived last season despite two record breaking defeats, 8-0 to Chelsea and 9-1 to Tottenham. That being said they also beat Chelsea in the reverse fixture along with Arsenal, so clearly this is a club where achieving some consistency will be key this season. The team has strengthened, but it's also lost a few important players. Alarm bells should be ringing for any team that concedes more than 8 goals twice in one season, and I wonder if they've really been heeded here. Almost certain to be involved in the relegation battle, despite the goals of Hugo Rodallega. If they were a Hollywood movie: 2012; a disaster waiting to happen in every sense. Verdict: Will struggle to stay up. Mick McCarthy, as expected, did a fantastic job with them last season and kept them in the top flight. Now it is time to consolidate the club's position in the first set of consecutive top flight seasons since the 1980s. Hunt, Fletcher and Van Damme are all very good signings, and every indication is that McCarthy is preparing them well for the year ahead. However, there is always the danger of them suffering from the common affliction of second-season-itis. If they were a Hollywood movie: Dog soldiers; wolves are on the prowl, and just like the werewolf outbreak in the movie only gets minor headlines compared to bigger football news, the club's notoriety is likely to stay similarly shadowed. Verdict: McCarthy will give it his best, but will it be enough?